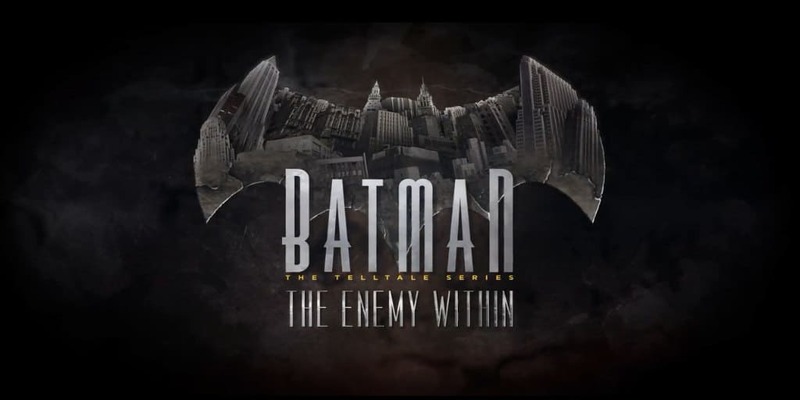 Telltale's Batman: The Enemy Within Drops Trailer for Episode 2 | Nerd Much? We don’t have much longer to wait before jumping back into Batman: The Enemy Within. Telltale dropped the first episode of season two back on August 8th. Now, after roughly a two month wait, we’ll see the second episode release on October 3rd. In anticipation of the upcoming rollout, Telltale Games has dropped a new trailer for our enjoyment. It starts off with praise from multiple gaming outlets for the series, before rolling into the proper teases and snippets of gameplay. Dr. Harleen Quinzel makes her presence felt in this outing. Sporting, of course, a very dangerous sledgehammer. “John Doe” continues to be involved in the game’s narrative. He’s been released from Arkham Asylum on good behavior, and Bruce needs to meet some of his friends. It’s through Doe it that we get introduced to Dr. Quinzel directly. The duo are destined to dance with each other in every iteration of the canon it seems. Telltale purposely avoids showing us who the Russian voice belongs to. The man is large in build, so some think it may be a new iteration on Bane. However, the third upcoming episode of the series is entitled Fractured Mask, so I suppose Black Mask could be an option as well. Episode two, entitled The Pact, continues the story for PC, PlayStation 4, Xbox One, iOS and Android devices on October 3rd.